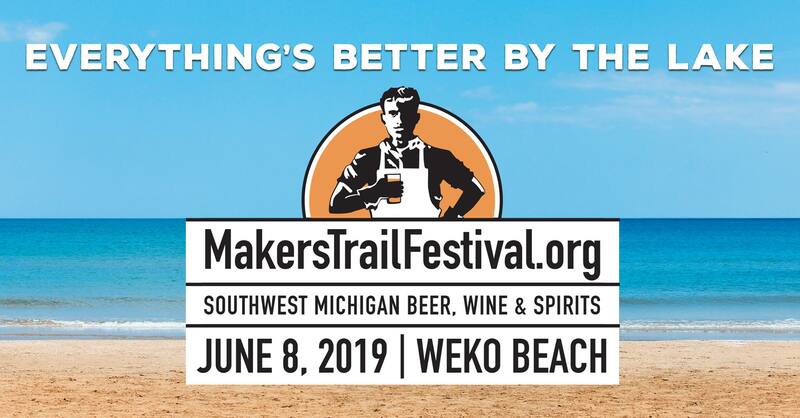 2nd Annual Makers Trail Festival - June 8th, 2019! Tickets on sale now! $10 in advance, $20 at the door! Welcome to our Lake to Grapes Region! Lake to Grapes is a place, a feeling, a community, a vibe. It’s the surf lapping Lake Michigan, dune grass springing between your toes. Sun shining on miles of grapes & blueberries & hops. Peach juice on your chin. Lake to Grapes is restaurants, wineries & breweries, quaint shops & niche boutiques. It's ice cream in the afternoons, live music in the evenings, hot dogs any time. Lake to Grapes is cruising the lake shore with the top down and quiet drives in the country. It’s clean streets, a safe place to play, all the amenities of home, and a relaxed feel. From the Lake to the Grapes, we welcome you to our place, our feeling, our community, our region. Come visit, stay awhile, and enjoy all we have to offer!